Bundt cakes are already teaching me, and I’m pretty sure it has nothing to do with baking technique. It was a Saturday and an impromptu visit to my in-laws found me toting a freshly baked chocolate cake along. Bundts are cakes for gatherings of people, so of course, I should share! As we were cutting into it, I was nervous. (Goodness, I’m not on the Great British baking show, why was I nervous?) Served it to them and sitting at the table, I literally had to tell my brain the truth–“these people love you–it’s ok if it’s not perfect.” And it wasn’t. I struggled with my embarrassment. Goodness, nothing like a bundt cake to expose the motives of my heart and my need for approval. Something so simple as a bundt cake, has become a proving ground for the condition of my heart. Sad to say it, but it’s true. So I’m asking the Lord to help me lighten up (even when my cakes aren’t) and keep using bundt cake and whatever else he needs to, to expose my heart and help me be more like him and get less tripped up when I twist an opportunity to love people into an opportunity for people to love me. He never did that. I think that’s why scripture tells us to pursue the practice of hospitality (Romans 12:13AMP). This loving people through hospitality is full of ways to stumble, but by God’s grace, I’m going to keep pursuing the practice. And by the way, I think if I had made the cake in a mixer, it would have been a-okay! For some silly reason, I hand mixed, and it came out too heavy. 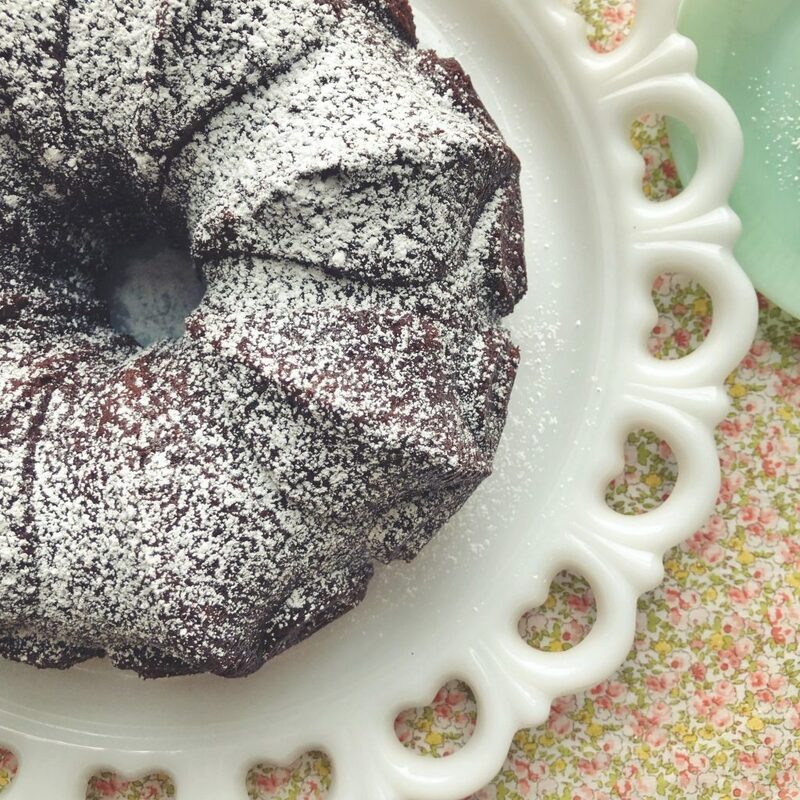 So if you are a chocolate cake enthusiast, bake this bundt up, maybe it will teach you something too! *See “tips,” below, for coffee alternatives. 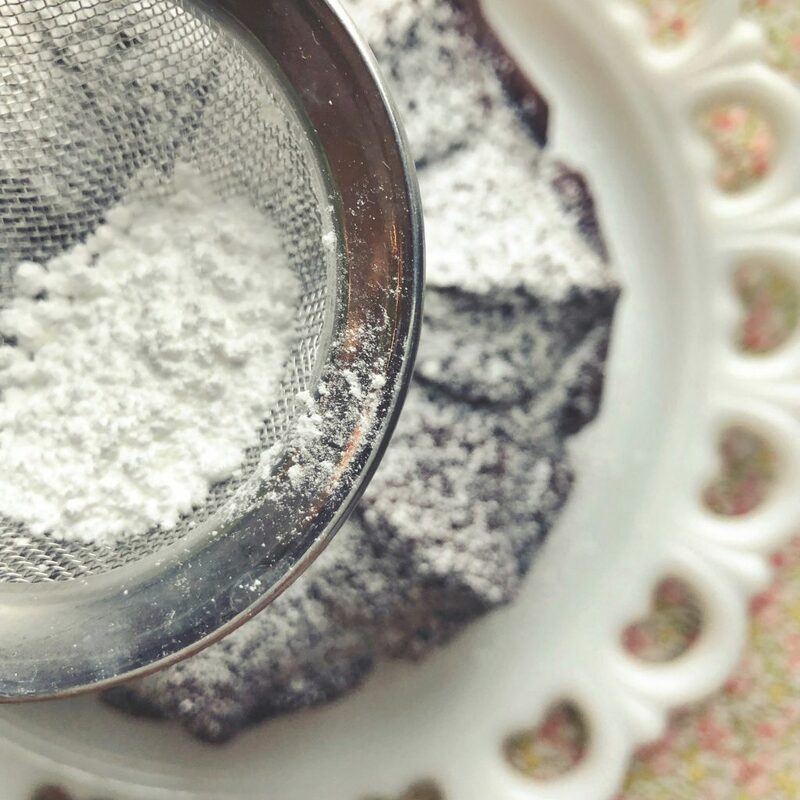 To make the cake: Place the coffee, butter, and cocoa in a small saucepan or microwave-safe bowl. Heat, stirring, until the butter melts. Remove from the heat, and whisk until smooth. Let the mixture cool for 10 minutes. In a separate bowl, whisk together the vanilla, eggs, and sour cream or yogurt. Mix into the chocolate batter, stirring until thoroughly combined. If your cake develops a “foot” (a domed ring of cake) on the bottom, feel free to slice it off before transferring to a serving plate, for greater stability. But don’t throw the cake trimmings away — baker’s treat! We highly recommend using brewed coffee in this recipe; while coffee won’t add its own mocha flavor, it enhances the cake’s chocolate flavor. However, you may substitute water, juice, or even stout beer for the coffee, if desired.